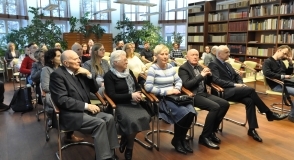 Promotion of the book "Majdanek w dokumentach"
On March 23 in the Hieronim Łopaciński Voivodship Public Library, promotion of the publication “Majdanek w dokumentach” by Wojciech Lenarczyk was held. The latest book of the State Museum at Majdanek is a collection of more than 300 documents concerning KL Lublin and its related institutions. 75 years ago, on March 17, 1942, the first transports of Jews deported from the Lublin ghetto and Lvov arrived to the death camp in Bełżec. These deportations were the beginning of “Aktion Reinhardt.” About 2 million victims of this genocidal operation were commemorated at the Museum – Memorial Site in Bełżec. 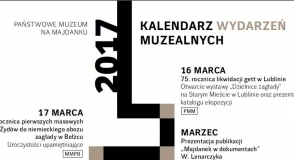 On March 16, the State Museum at Majdanek opened a new open-air exhibition documenting persecution and extermination of Jews in German-occupied Lublin. 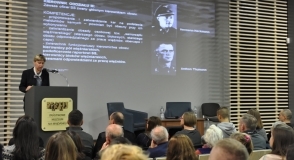 The opening of the exposition entitled “Districts of Extermination” was accompanied with a lecture and presentation of archival photographs. The newest Museum publication was also presented. 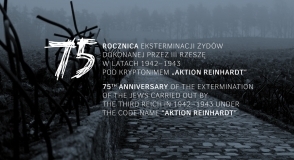 75th anniversary of "Aktion Reinhardt"
Commemorating ceremonies, exhibitions, publications, educational projects and discussions by historians are among the events planned by the Museum as part of the 75th anniversary of “Aktion Reinhardt.” They will be held between March 16, 2017, and November 3, 2018. In this period we will regularly publish on our website (in section “History”) materials on history of the extermination of Jews in the General Government in 1942–1943. 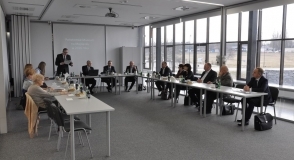 On February 27, the fourth session of the Council of the State Museum at Majdanek took place. Discussing the most important undertakings accomplished by the Museum in 2016, director Tomasz Kranz mentioned mainly increased number of the visitors, Museum activities on the Internet and actions related to inventorying and preserving the Museum collections. We kindly inform that due to the commencement of construction work on the grounds of the memorial site in Sobibór, the Museum of the Former Death Camp will be closed from March 1, 2017, until further notice. Exhibitions, book promotions, conferences and meetings. More than a dozen events aimed at, among others, people with passion for history, academics, students and teachers will be held in the State Museum at Majdanek in 2017. In the State Museum at Majdanek, historical workshops were held within the framework of the second edition of the educational project "Remember the past for the future" on 31 January and on 1 February 2017. The participants were German students from John-Brinckman-Gymnasium in Güstrow. 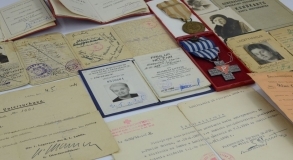 The collections of the State Museum at Majdanek were enriched with extremely interesting and valuable materials relating to Helena Pawluk née Błeszyńska, a former prisoner of the German concentration camp at Majdanek and the prison at the Lublin Castle. The collection consists of nearly 100 photographs, documents, and personal items. The State Museum at Majdanek observed the International Holocaust Remembrance Day. On 27 and 28 January tribute was paid to Jews murdered at KL Lublin and in other camps. 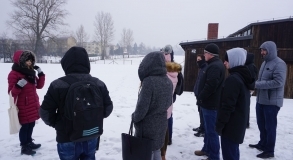 The Museum organized a lecture and guided tour through the grounds of the former German concentration camp at Majdanek. 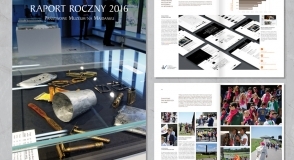 A report on the activities of the State Museum at Majdanek in 2016 has already been published. It includes the most important events, completed projects and information on the growing number of visitors. Videos of witnesses to history in "experiencing the past"
On 24 January, students from the Institute of History of Maria Curie-Skłodowska University took part in a museum lesson entitled: “The world behind wires.” The lesson was organised as a part of the university course called museum studies and museology. 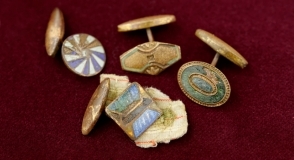 The Museum at Majdanek has accomplished conservation of another group of relics found on the grounds of the former German death camp in Sobibór. In 2016, number of people who visited the State Museum at Majdanek increased again. Nearly a half of 213,237 visitors to the Museum and its branches came from abroad (93 227 people). 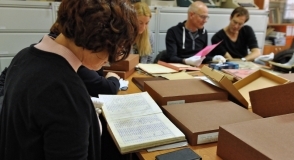 Over 300 records concerning the German death camp in Lublin, until now scattered in many publications and archives, have been collected in the newest publication of the State Museum at Majdanek. It is the first complex edition of sources devoted to a German concentration camp. 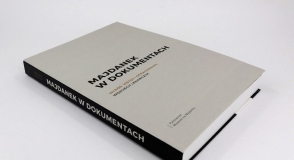 The archives were selected, edited and preceded with an introduction by Wojciech Lenarczyk. 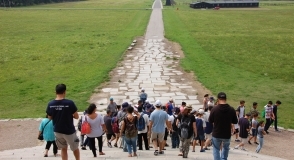 For the second time, the State Museum at Majdanek participated successfully in the programme “Accessible culture” of the Ministry of Culture and National Heritage. This year, about 2,500 students of intermediate and high schools from whole Poland took part in free museum classes organized by the State Museum at Majdanek and the Museum – Memorial Site in Bełżec. The number of participants almost doubled when compared with 2015. On 12 and 13 December 2016, the 6th edition of the Polish Projects Exchange took place at the Centre for the Meeting of Cultures in Lublin. 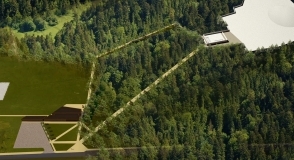 The State Museum at Majdanek presented the project “Świat za drutami – pamięć międzypokoleniowa” (“World behind the wires – intergenerational memory”) within the framework of the so-called Expert’s Board. On December 12, Pierre Lévy, Ambassador of France to the Republic of Poland, visited the State Museum at Majdanek. "Community worker," "Jewish aunt," "radio chairman" - such nicknames were given Matylda Woliniewska, a Majdanek camp prisoner, by her companions in misery. On 24 November, a memorial to this unique person was hel at the Museum as part of All Souls Day at Majdanek. 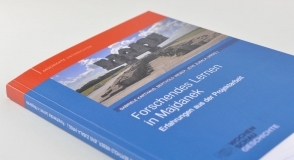 The book "Forschendes Lernen in Majdanek. Erfahrungen aus der Projektarbeit" (eds. G. Karthaus, B. Weber and J. Zubala) was released in Germany. It focuses on the didactic work of the State Museum at Majdanek. It documents the results of historical practices with the participation of German students from the school in Waltrop (Gesamtschule Waltrop) that have been realized for almost 20 years in cooperation with the State Museum at Majdanek. How do Polish museums commemorate the tragic heritage of World War II? 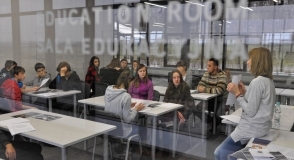 What are the possibilities of educational work in those facilities? 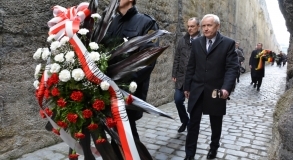 In what way is the Polish culture of remembrance different from the German one? These and other questions were raised during the educational and historical seminar organized in the State Museum at Majdanek for the staff members of national memorial sites and teachers from Nordrhein-Westfalen. Over 18 thousand Jews were murdered in the camp at Majdanek on 3 November 1943. It was the biggest execution by shooting in the history of German Nazi concentration camps. On Thursday, the State Museum at Majdanek was the place where people paid tribute to those who were murdered. The meeting about perpetrators was also held. 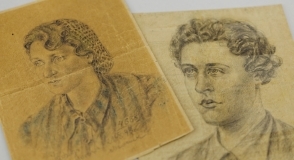 A portrait of a female prisoner from the Majdanek concentration camp enriched the Museum’s collections. The drawing was donated by Mr. Marek Szypulski who has managed the Retirement Home of the Polish Humanitarian Fund in Lailly-en-Val, France, for over twenty years.